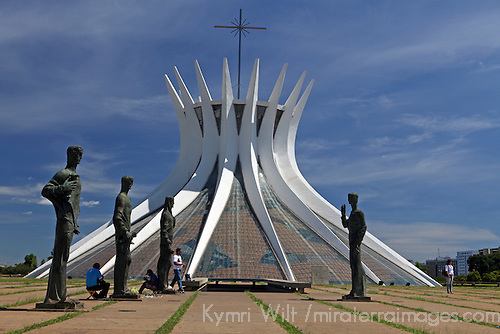 When I explored Brazil's capital city Brasilia with my camera, I was convinced that it's principle architect, Oscar Niemeyer, would have made a brilliant photographer. Every structure demands an eye for composition, and every vantage proves his plan to be incredibly photogenic. I felt as if he stood back and cupped his hands in a frame as his designs were constructed, to check they symmetry, scale, and impact of his artistic vision. I was particularly struck by the space and mood inside his buildings, for these structures were not just designed to look good on the surface - there was a distinct environment within each design that enveloped me the moment I stepped in. It was not so much about the physical walls and architectural elements, rather, it was about the space between, the shape of the emptiness which surrounded the elements. As I entered, I too became an element in this space. 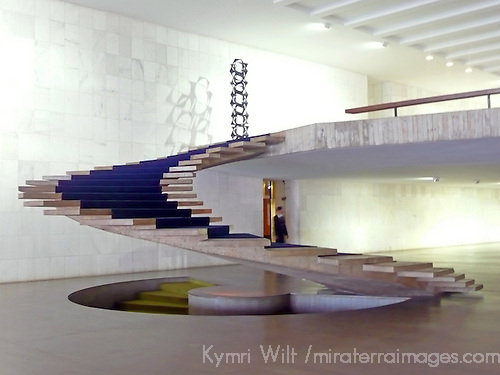 Interior staircase at Itamaraty Palace in Brasilia, home of foreign government affairs. Same staircase takes on an entirely different character just a few strides to the left. I was no longer looking at it, I was taken in as a part of it. It was more a sensation than observation. While the camera does justice to the design of the structure, there is little to convey the design and mood evoked by the empty space. It is an experience. 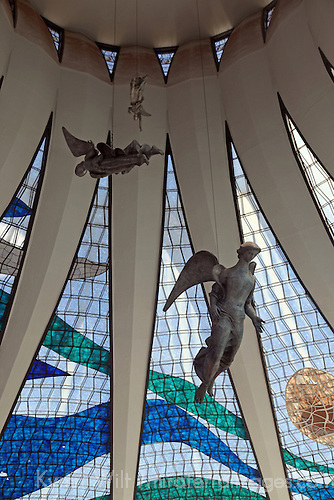 Inside the Bailica of Brasilia, the shape of emptiness is complimented by floating figures, angels. The sensation of floating amongst them is present, though intangible, a feeling that transcends the physical. Outside of the same structure, the figures are standing, bound to the earth, and we can tangibly move about them, feeling them by touch. Intended or not, the whole design reflects the constraints of our human being (external), and the freedom of our spiritual being (internal). 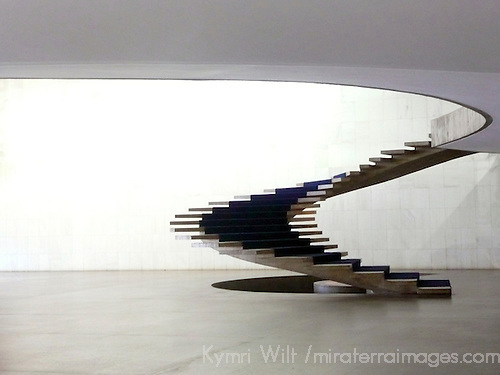 Speaking of earth and the heavens, Niemeyer's design of the national museum ties both together beautifully. Otherworldly, yet of this world. 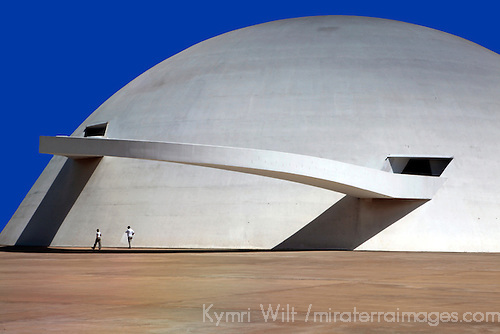 With his recent passing at age 104, Oscar Niemeyer has shaped the emptiness he leaves behind, bringing all of us that much closer to heaven on earth. He really had a wonderful eye. Thanks for sharing these photos. Wow! He really was a genius!